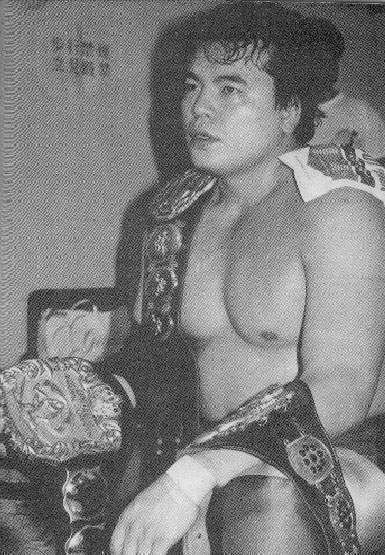 August 21, 1981: Mitsuharu Misawa debuted vs Shiro Koshinaka in Urawa, Japan..
Mitsuharu Misawa wrestled under a mask as the second incarnation of the Tiger Mask..
April 20, 1986 – AWA WrestleRock: Tiger Mask (Mitsuharu Misawa) beat Buck Zumhoff..
Mitsuharu Misawa took two of the most horrific bumps in wrestling history, the Ganso bomb and the Burning Hammer..
2000: Mitsuharu Misawa left All Japan and created NOAH taking many of the native All Japan stars with him..
~~~Mitsuharu Misawa was the first ever Global Honored Crown champion of NOAH..
June 11, 2004–PWI: Mitsuharu Misawa & Yoshinari Ogawa b Nigel McGuiness & Bart Blaxon to retain the GHC Tag titles..
August 10, 2004–World League Wrestling: Mitsuharu Misawa & Yoshinari Ogawa beat Ace Steel & Jason Bates in 27:31..
March 19, 2005–TWC: Doug Williams/Too Cold Scorpio/James Tighe beat Mitsuharu Misawa/Yoshinari Ogawa/Tiger Emperor..
May 29, 2005–NOAH: Jun Akiyama & Yoshinobu Kanemaru defeated Mitsuharu Misawa & Kotaro Suzuki..
May 31, 2005–NOAH: Akitoshi Saito & Masao Inoue & Takashi Sugiura beat Misawa & Yoshinari Ogawa & Richard Slinger..
October 2, 2005–WRESTLE-1 GP: Mitsuharu Misawa & Yoshinari Ogawa defeated Akebono & Scorpio..
November 18 2005–NOAH: Mitsuharu Misawa & Yoshinari Ogawa defeated Doug Williams & Ricky Marvin..
November 26, 2005–NOAH: Mitsuharu Misawa & Yoshinari Ogawa defeated Minoru Suzuki & Daisuke Ikeda..
November 27, 2005–NOAH: Kenta Kobashi/Mitsuharu Misawa/Akira Taue beat KENTA/Naomichi Marufuji/Mushiking Terry ..
November 29, 2005–NOAH: Mitsuhari Misawa/Yoshinari Ogawa/Kotaro Suzuki beat Kenta Kobashi/Kentaro Shiga/KENTA..
December 4, 2005–NOAH: Katsuyori Shibata & KENTA defeated Mitsuharu Misawa & Go Shiosaki..
December 10, 2006–NOAH: Mitsuharu Misawa defeated Naomichi Marufuji to win the GHC Heavyweight title. 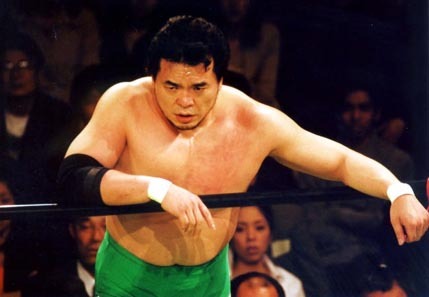 January 21, 2007–NOAH: Mitsuharu Misawa (suffered a mild concussion) defeated Takeshi Morishima in the main event. 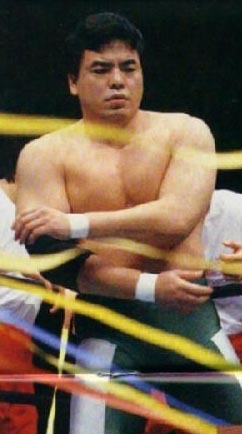 October 27, 2007–NOAH: Mitsuharu Misawa defeated Samoa Joe to retain the GHC Heavyweight title at Budokan Hall. 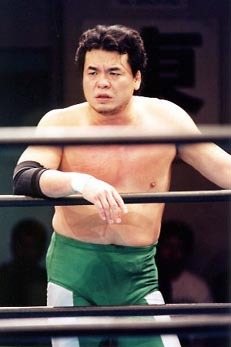 November 2, 2007 – ROH: Mitsuharu Misawa & KENTA vs. Takeshi Morishima & Naomichi Marufuji ended in a 30-minute draw..
November 3, 2007 – Ring of Honor: Mitsuharu Misawa defeated KENTA to retain the (NOAH) GHC Heavyweight title..
December 2, 2007–NOAH: Mitsuharu Misawa & Jun Akiyama beat Kenta Kobashi (1st match back) & Yoshihiro Takayama..
March 2, 2008–NOAH: Takeshi Morishima defeated Mitsuharu Misawa to win the GHC Heavyweight title in Tokyo, Japan! ~~~Mitsuharu Misawa & Go Shiozaki vs. Bison Smith & Akitoshi Saito for the GHC Tag Team championship in Hiroshima, Japan..
~~~Akitoshi Saito gave Misawa a “routine” back suplex and he went unconcious and was rushed to the hospital very quickly..
~~~~~~~~~~~~~~~~~~~~~~~~A report by Dave Meltzer on Figure-4 Online: http://www.f4wonline.com/content/view/9617/..
Mitsuharu Misawa has wrestled for the following promotions: AJPW (1981-2000), EMLL(1983-84? ), NOAH(2000-Present)..